This paper draws on a Bakhtinian theoretical framework to trace the ideological becoming—or development of ways of viewing the world and their place in it—of international graduate assistants working in a Midwestern United States teacher education program. Ideological selves are developed when persons negotiate available resources in their environment—people, discourses, and contexts. We interrogated the experiences and outcomes of these for international graduate assistants as they negotiated challenging teaching contexts and made future career plans. Keywords: Bakhtinian theoretical framework, Ideology, Resources, Challenging teaching contexts. Este documento se basa en un marco teórico Bakhtiniano para trazar el devenir ideológico —o el desarrollo de formas de ver el mundo y su lugar en él— de alumnos graduados internacionales que trabajan en un programa de Educación en Midwestern en los Estados Unidos. Las claves ideológicas se desarrollan cuando las personas negocian los recursos disponibles en su entorno — personas, discursos y contextos. Hemos indagado en las experiencias y resultados de estos alumnos internacionales ya que han mostrado tener habilidades para negociar nuevos contextos de enseñanza desafiantes y han sabido establecer su s planes de futuro. Palabras clave: Marco teórico Bakhtiniano, Ideología, Recursos, Desafíos de los nuevos contextos de enseñanza. - What are the outcomes of ideological development for international graduate assistants with reference to their future goals and careers? Russian philosopher Mikhail M. Bakhtin (1981) asserted that an ideological self develops when a person negotiates available resources in her environment—discourses, contexts, people—who they are and what they speak and do. Such a process is what has been called “ideological becoming” or “how we develop our way of viewing the world, our system of ideas…” (Freedman & Ball, 2004, p. 5). In using the term “ideology,” Bakhtin is not necessarily referring to “a consciously held political belief system,” but “refer[s] … to the way in which members of a given social group view the world” (Morris, 1994, p. 249). Bakhtin (1981) wrote that ideological development emerges from the “intense struggle” that takes place “among various available verbal and ideological points of view, approaches, directions and values” (p. 346). Our interactions with others within social contexts are crucial for what we learn about the world, our place in it, and who we understand ourselves to be. Freedman and Ball (2004) explained “that when diverse voices interact, we struggle to assimilate two distinct categories of discourse: (1) authoritative discourse, and (2) internally persuasive discourse” (p. 7). Authoritative discourse is “a prior discourse” that “is given in lofty spheres, not those of familiar contact” such as that of religious dogma or scientific truth (Bakhtin, 1981, pp. 342-343). Internally persuasive discourses are those that individuals find more resonant with their own worldviews. Through this struggle among discourses, persons develop ideologically. Graue and Walsh (1998) draw attention to the fluid, dynamic, and social nature of a context—or a “culturally and historically situated place and time, a specific here and now” (p. 9). They argue that contexts are relational, that they shape and are shaped by actors—their perceptions and intentions. Nested contexts for this study are Lake City (2), a community of 250,000 where State University is located, its public schools (where graduate assistants supervise the classroom practices of prospective elementary teachers), and the State University campus. Lake City is a middle class, English-speaking community with a majority (84.5%) White population. Over 92% of Lake City residents graduated from high school and 48% hold a bachelor’s degree. Median household income is over $40,000 per year with 15% of people living below the poverty line. 12.7% of people speak a language other than English at home (U.S. Census, 2010). Lake City enrolls nearly 25,000 students in its schools, a stable enrollment since 1992-93—when 80% of its K-12 public school students were White while today, only 49% are White (Lake City Schools Website 2008-2009). In the past 20 years, there also have been large increases in the number of low-income students. The K-12 population of English language learners reflects a 500% increase since 1991-92, and a 10% increase since 1999 (Lake City Schools Website, 2008-2009), most of whom are Spanish speakers. Lake City high schools have far lower graduation rates for African Americans and Latinos than Whites and Asians. Few teachers of color are employed in this city; most are monolingual in English (Lake City Schools Website, 2005). In 2009, when Mary Louise initiated this study, State University enrolled 28, 690 undergraduates of whom 23, 321 are White. 3, 936 who are “ethnic minorities”, and 1, 423 who are from international contexts. (State University Data Digest, 2009-2010). It also enrolled 9, 116 graduate students of whom 5, 909 are white, 2, 216 are from international contexts, and 993 are classified as “ethnic minorities” (State University Data Digest, 2009- 2010). State University also has a predominantly White faculty—of 2,022 faculty, 1, 817 are White (State University Data Digest, 2009- 2010). From 2004-2011, while Mary Louise was chair of Elementary Education at State, the program admitted a total of 700 students (100 per year). Of these, fewer than 10% were students of color and few were from international contexts (Education Academic Services, State University, 2010). Most students enrolling in the program are from small towns and suburban areas of the Midwest. The program requires four semesters of professional course work and practica and a fifth semester of full-time student teaching. It employs 13 faculty members—10 Whites, 2 African Americans, and 1 Latina. Graduate teaching assistants are employed to conduct all of the supervision of prospective teachers and teach many courses to them as well. The program’s mission is to educate teachers who are school leaders and embrace an approach to teaching that is multicultural and oriented to social justice for all people. What this means for international graduate assistants is that they are entering contexts where Whiteness, middle class Midwestern U.S. values, and the hegemony of the English language hold a great deal of influence in the community and on campus. These intersections of race, ethnicity, social class, and language backgrounds create living, studying, and working conditions that may be unfamiliar and disconcerting for these students. Next, we detail how we collected and analyzed data for our research project. Working with two graduate assistants, Mary Louise used life history methods to interview 9 international graduate assistants for our study. We did so because we have found that in talking about their lives, participants frequently draw on narrative forms to exemplify particular points they are making to us as researchers (see Gomez, 2010; Johnson, 2010). Cole and Knowles (2001) wrote that life history research, “…is about understanding the relationship, the complex interaction, between life and context, self, and place. (p. 11). Extending Cole’s and Knowles’ notions about what individuals’ stories do, Linde (1993) argued that life stories: “make a primary evaluative point about the speaker or about some event framed as relevant specifically because it happened to the speaker, and that, stories “…have extended reportability; that is, they are tellable and told and retold over the course of a long period of time” (p. 21). Life history methods afford researchers occasions to: understand patterns in people’s lived experiences; highlight relationships of these patterns to ways they might be interrupted; and create compassionate responses to people’s experiences (Bertaux & Berteaux-Wiame, 1981). All of these were appealing as we listened to international graduate assistants narrate difficulties they encountered in their work lives, and considered how we might address these. Between May 2009 and May 2010, we conducted semi-structured life history interviews with graduate assistants whose home countries were Chile, India, Korea, Pakistan, and Spain. Interviews typically lasted for 2 hours and encompassed experiences in their family lives, their K-12 schooling experiences, their prior teaching experiences, and their work experiences in graduate school. All interviews were audiotaped and transcribed. We often interviewed participants a second time to follow up on responses that were intriguing, required clarification, and/or were related to patterns found in the data. While questions concerning racism were not posed directly, all respondents spontaneously named experiences they had as racist. Participants understood the racism directed at them as being related to their skin color, language background or accented English, presumed religion, and/or imagined politics. Participants expressed a great deal of anger and sorrow over these experiences. These were unexpected to them in a prestigious U. S. university, and particularly in a department that espoused ideals of social justice and equity in schooling. Methods of qualitative analysis (Graue & Walsh, 1998) were used to identify themes in the interview transcripts. We began inductively by each reading the transcripts on multiple occasions, noting patterns within and across interviews. We maintained themes on which both of us agreed and then reread the data to verify these, including: (1) prospective teachers bypassing a graduate assistant when there was a problem or conflict and going directly to a faculty member to complain; or (2) refusing to engage graduate assistants’ questions in seminar meetings. These themes alerted us that graduate assistants experienced prospective teachers’ continual questioning of their knowledge and authority. Analyses were deductive in that the researchers read the data patterns against our own personal and professional knowledge, including our conceptual framework. That is, data patterns were read against a body of research literature concerning the experiences of graduate assistants (Barber & Morgan, 1987; Jacobs & Friedman, 1988; Borjas, 2000; Fleisher, Hashimoto, & Jacob, 2002). We also read these against our personal experiences as former graduate assistants. Next, we introduce our three study participants. Sergio Garza is a 37-year old former secondary school teacher from Chile who is studying for a doctorate in Curriculum Theory. Like many of his peers who are international graduate assistants at State University, Sergio’s family members are highly educated and hold privileged positions in their home country. For five years, Sergio has supervised prospective teachers in their final semester before certification. Su-dae Park is a 30-year old doctoral student studying Early Childhood Education who teaches and supervises prospective teachers in the first semester of their program. Born and raised in South Korea, she moved to the United States at age 23, joining her parents who had immigrated to New York City. She, too, comes from an educated, upper-class family, but this did not protect her from experiencing “overt racism” in the United States. Su-dae said that she was humiliated at this interaction that was echoed in subtler, complex, and hard to understand ways in her teaching and supervision at State. Sergio Garza recounted several anecdotes that illustrate how he felt that his expertise on teaching was not acknowledged. He asserted that when he commented on prospective teachers’ pedagogy, both the prospective and cooperating teacher tended to be defensive about his suggestions. Discussing these, Sergio drew on a discourse of combat and negotiation: “They (the prospective and practicing teachers) often throw the first punch, and we have to be very diplomatic.” Sergio often felt like he was under assault. He recalled one cooperating teacher saying: “I do not think that you know anything about U.S. schools.” He replied that for several years he had attended the very school in which she was teaching—when his father had studied in the United States. Sergio felt this did not credit him in the teacher’s eyes as she then became silent. In terms of her teaching at State University, Sharvani stated that she finds it is challenging teaching majority White prospective teachers. This, in part, has to do with the authoritative discourse on race and culture with which such prospective teachers engage. Sharvani stated that she personally feels more comfortable leading her weekly seminars when there are at least (her emphasis) one or two students of color enrolled. These students, often from immigrant families, share some of Sharvani’s experiences as newcomers to the United States. She believes that prospective teachers of color engage with different discourses on race and culture than their White peers saying, “I understand students who are from immigrant families and feel, like me, they have lost as well as gained so much.” With this statement, she underscores that fewer tensions exist between her own authoritative and internally persuasive discourses and such prospective teachers. She recalled challenges she has faced in working with White cooperating teachers who invalidated her knowledge both by being silent and avoiding eye contact with her during post-observation conferences. She said, “[They] often see supervisors as “outsiders” to begin with and I am not sure about how they see the race piece of our interactions or my interactions with them. … The “outsider” notion exacerbates this. I am not sure where [they] see me or who I am or what I know.” Sharvani understood that the supervisor and cooperating teacher relationship was by its nature one that might result in contested outlooks on teaching. However, she also saw both the cooperating teachers and prospective teachers as making assumptions about her grounded in racism and ethnocentrism. Su-Dae Park narrated a story about a day when she had conducted an activity in her seminar in which had asked prospective teachers to listen to statements about race and social class, and to stand in various places in the room depending on whether they agreed or disagreed with the statements that she read aloud. After the activity, an African American student approached her and said that he had to go home because he was so upset. He said that he had felt isolated from his peers during the activity, as he often was the only student standing in a particular location. Su-dae explained to the student that she, too, frequently had stood with him. Nonetheless, he left class, angry with her and his classmates. Because of this incident, Su-dae felt that she was not an adequate teacher educator. She repeated, “I am a failure, a failure.” She had not intended this outcome and now recognized that the activity only had served to highlight the differences between one student of color in the group and his White classmates, rather than helping them all to understand their varied perspectives. Su-dae felt that the student’s negative response to the activity also invalidated her professional knowledge. These anecdotes represent ways that Sergio, Sharvani, and Su-Dae confronted authoritative discourses on race within their graduate assistantships. Within the history of the United States circulates a discourse on “who” is believed to possess knowledge and expertise—that is, persons from White backgrounds frequently contend through their behaviors that only persons with similar backgrounds are knowledgeable and expert. When the White prospective and practicing teachers question Sergio, Sharvani, and Su-Dae’s knowledge and expertise, they engage with such an authoritative discourse. In their responses, then, Sergio, Sharvani, and Su-Dae attempt to manage tensions between this authoritative discourse and their unique internally persuasive discourses, asserting that they do possess knowledge of the U.S school system. Sergio explained that he attended that very school when questioned. In doing so, he repositions himself as knowledgeable within the interaction. Sharvani said she prefers to work with international students or students of color because the tensions between their worldviews seems to be more manageable. Su-Dae, interestingly, was more sensitive to the student’s questioning of her knowledge and ability—for his questioning led to her questioning of herself. In other instances, graduate assistants recounted tensions in how racial and cultural differences are approached and negotiated. Sergio recounted how he had many conflicts with White prospective teachers who are personally pleasant with him, but use the anonymous course evaluation form to voice concerns. He described how prospective teachers say “racist things on the evaluation form, things they have never said to my face.” In addition, he recounted how prospective teachers have undermined him by bypassing speaking with him about a concern, and instead complaining to his faculty supervisor. Sergio made changes to his weekly seminar syllabus that would help him build greater rapport with students. He also said that he started to take on new practices as a supervisor, starting “supervisory conversations with three positive comments about prospective teachers’ practices.” In spite of such efforts, however, Sergio still felt that prospective teachers questioned him and his knowledge. Sergio stated that he had experienced the authoritative discourse of racism as a child both in the United States and England. However, he had not expected to face so many conflicts with educated adults at a university in the United States. As a result of such tensions, he felt emotionally affected: “I do take these things very personally. 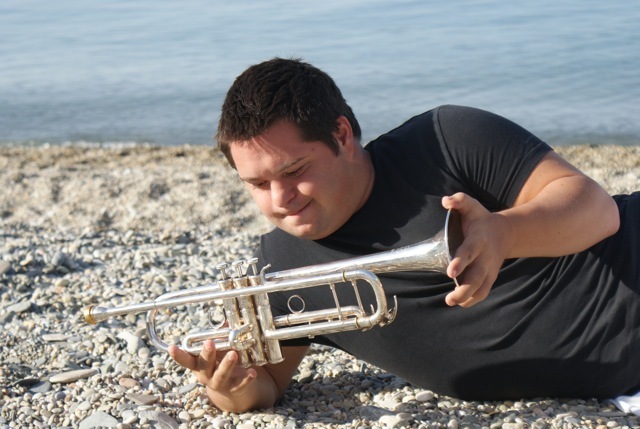 They hurt me.” Such tensions have resulted in Sergio shifting his career plans. Instead of remaining in the United States and working as a teacher educator, he plans to return to Chile: “I want to go home, away from all this, all the complaints and the questions about me and what I know,” he said. He strongly believes that the complaints and questions focus on his ethnicity, language background, and international status. As with Sergio, Sharvani grappled with what she perceived as authoritative discourses on race and culture engaged by White prospective teachers. From her vantage point, differences in race and culture needed to be engaged with, and only then can people work through these conflicts. Yet, the White prospective teachers were often quiet during seminars she led, refusing to engage with her. Sharvani also noted that prospective teachers seemed to avoid dialogue around topics related to the mission of the program, including social justice, equity, and differentiation of instruction for students who experienced learning difficulties. She said, “They don’t use the words ‘social justice’ or ‘equity’, or talk about the concepts either. It is so frustrating and disheartening. I wonder—are they talking about them somewhere else, but not with me?” Sharvani believed that White prospective teachers were reluctant to tell her what they were thinking as they differed from her on many dimensions. As we see it, the silence that Sharvani described experiencing arose from prospective teachers’ own ideological tensions. Not only were the prospective teachers avoiding discussing topics that were critical to Sharvani, to her teaching, and their teacher education program as well, but they did so because the authoritative discourses they engaged with framed such conversations as “impolite” and preferably, to be ignored. Whereas, the program engaged with a discourse on teaching for social justice and cultural diversity, the White prospective teachers engaged with a much more prominent discourse circulating within the United States—that racial and cultural differences should not be discussed publicly. Likewise, Sharvani’s experiences in the United States have enabled her to see how important such discussions are for White prospective teachers’ future practices. She engages with such internally persuasive discourses in her teaching; yet feels unsuccessful in helping prospective teachers do similarly. Sharvani reported that some prospective teachers were reluctant to listen to her supervisory comments, and “just wanted to go back in the classroom and teach.” These students nodded and appeared to listen to her comments, but Sharvani believed that they quietly were ignoring her because she lacked experience teaching in U.S. public schools. Ignoring her feedback is another way that prospective teachers slighted Sharvani and invalidated her expertise. Like Sergio, Sharvani has determined that such behaviors on the part of prospective teachers can be addressed through building stronger rapport and relationships. Recently, she has begun talking more about India to prospective teachers she supervises. She hopes that such conversations might alleviate students’ feelings of estrangement from a supervisor from another country, culture, and religious background. Su-Dae’s vignette concerning the African American student who felt ostracized by her activity also stands as an example of how prospective teachers engaged with authoritative discourses on race and culture in the United States. The African American student that Su-Dae described approached the situation as though discussing and highlighting racial and cultural differences was negative, and positioned him differently within the classroom. He did not wish to acknowledge his racial difference from the rest of the class, perhaps believing that such open discussion would further alienate him from his peers. Circulating within the United States is an authoritative discourse about racial and cultural differences that encourages Whites to avoid confronting such differences. Talking about difference opens possibilities for conversations where varied viewpoints on racial and cultural differences may surface—group members thus may be challenged on their positions concerning race and racism. They also may become uncomfortable when seeing how their positions differ from those of peers. When the White prospective teachers bypass confronting Sergio on his teaching style, are silent during discussions on race with Sharvani or when Su-Dae describes an African American student not wanting to discuss racial differences, all see their students as participating in such an authoritative discourse. In contrast, Sergio and Sharvani’s internally persuasive discourse prompts them to seek out avenues for confronting such differences, particularly with White teachers. Engaging with an internally persuasive discourse, these graduate assistants try to build rapport and strengthen relationships with White prospective teachers. In spite of their efforts, tensions between the two discourses are too great, and their attempts at dissolving these ultimately are thwarted. In reading Sergio’s, Sharvani’s, and Su-Dae’s life history interview transcripts, we identified the following ideological tensions that they encountered in their practices as teacher educators. The first was tension between an authoritative discourse in the United States on how race influences Whites’ beliefs about who possesses knowledge. This discourse was in tension with graduate assistants’ own internally persuasive discourses regarding their expertise. The second involved authoritative discourses on how differences in race and culture in the United States should be grappled with—which is that such differences should not be discussed openly and if possible, should be ignored. This discourse stood in tension not only with the authoritative discourse of the teacher education program but with graduate assistants’ internally persuasive discourse that beliefs about race and culture must be discussed openly to create a more equitable and just U.S. society. The stories of Sergio, Sharvani, and Su-dae all show how they learned the significance of building relationships with prospective teachers if they want to influence their practices and to carry on discussions about race, inequity, and culture. Without such relationships, prospective teachers are apt to dismiss teacher educators and their knowledge, particularly those from international backgrounds. These three international graduate assistants learned that becoming a teacher educator often requires assisting prospective teachers in negotiating ideological discourses. That is, prospective teachers at State University not only had conflicts with the discourses of their graduate assistants but also with those of their teacher education program, particularly regarding issues of race, culture, and social justice. The graduate assistants recognized that discourses about such issues as social justice and equity are difficult for prospective teachers to take up and practice, particularly when their cooperating teachers are unfamiliar and/or uncomfortable with these. These three graduate assistants now have little interest in pursuing faculty positions at institutions in the United States. Perhaps this is because they felt overwhelmed by challenges encountered in preparing White prospective teachers to teach for equity and social justice. Such a tendency is disheartening because of critical needs in the United States for teacher educators who represent diverse social, cultural, and national backgrounds. International graduate assistants face challenges that are not resolved easily. Hearing their stories are important for faculty in designing graduate programs that will nurture all who prepare for careers in teacher education. In predominantly White institutions such as State University, those different from the majority understand that they continually will be scrutinized and questioned. Faculty members also need to continually assess the goals and outcomes of the institution and its programs, especially when these are grounded in social justice and equity. Faculty members also can acknowledge subtle ways that racism and ethnocentrism circulate within institutions, and can validate the experiences of graduate assistants from international backgrounds. (1) In this paper, we refer to doctoral students who are employed in teaching and supervising teacher candidates as graduate assistants. We refer to undergraduate students in our elementary education program as prospective teachers. And, we call those persons who host prospective teachers in their classrooms and enable them to practice their pedagogy on students, cooperating teachers. The term “supervise” prospective teachers’ practices refers to observations and conversations about their teaching in a school classroom that observed and critiqued by a graduate assistant. (2) The names of all people, geographic places, and institutions have been given pseudonyms. Bakhtin, M. M. (1981). Discourse in the novel. In M. Holquist (Ed. ), The dialogic imagination: Four essays by M. M. Bakhtin. (Trans. Caryl Emerson and Michael Holquist). Austin: University of Texas Press. Barber, E. G., & Morgan, R. R. (1987). The impact of foreign graduate teaching assistants in engineering education in the United States. Science 236, 4797. Bertaux, D., & Bertaux-Wiame, I. (1981). Life stories in the baker’s trade. In D. Bertaux (Ed. ), Biography and society (pp. 169-189). Beverly Hills: Sage Publications. Borjas, G. J. (2000). Foreign-born teaching assistants and the academic performance of undergraduates. The American Economic Review 90(2), 355-361. Cole, A., & Knowles, G. (Eds.). (2001). Lives in context. The art of life history research. Walnut Creek: AltaMira Press. Education Academic Services. (2010). Data concerning students of color enrolled. State University. Fleisher, B., Hashimoto, M., & Weinberg, B. A. (2002). Foreign GTAs can be effective teachers of economics. The Journal of Economic Education, 33(4), 299-325. Freedman, S., & Ball, A. (2004). Bakhtinian perspectives on language, literacy, and learning. Cambridge: Cambridge University Press. Gomez, M. L. (2010). Talking about ourselves, Talking about our Mothers: Latina prospective teachers narrate their life experiences. The Urban Review (42), 81-101. Graue, M. E., & Walsh, D. J. (1998). Studying children in context: Theories, methods, and ethics. Thousand Oaks, CA: Sage Publications. Jacobs, L. C., & Friedman, C. B. (1988). Student achievement under foreign teaching associates compared with native teaching associates. The Journal of Higher Education, 59(5), 551-563. Johnson, A. S. (2010). Rachel’s Literacy Stories: Unpacking One Preservice Teacher’s Moral Perspectives on Literacy Teaching. Teachers and Teaching: Theory and Practice, 16(1), pp. 97-109. Lake City Schools (2008-2009). Lake City: Website. Lake City Schools. (2005). Lake City: Website. Linde, C. (1993). Life stories: The creation of coherence. New York: Oxford University Press. Morris, P. (1994). The Bakhtin Reader: Selected Writings of Bakhtin, Medvedev and Volosinov. London: Edward Arnold. State University Data Digest. (2009-1010). Information concerning numbers of students of color enrolled. State University Data Digest: Website. U.S. Census. (2000). http://www.census.gov Downloaded 05.04.10. Gomez, a professor of Literacy Studies and Teacher Education at UW-Madison, earned her bachelor’s degree in Political Science and her master’s degree in Reading and Language Arts education (with teacher certification and reading teacher and reading specialist licensure) at the University of Vermont. She earned her doctorate in Literacy Studies at UW-Madison, and joined the faculty in 1987. Gomez’s research has focused on issues of race and class and how these aspects of persons’ identities especially offer prospective and practicing teachers’ lenses on who their students are and how their pedagogy might be crafted to assist students’ learning. In the first phase of her research, Gomez investigated how white, European American prospective teachers learn to teach a diverse population of students. She followed several cohorts of white, European American prospective teachers as they completed programs of teacher education aimed at increasing prospective teachers’ attention to why and how they might adapt their pedagogy to teaching diverse populations of students. In a second, and more recent phase of her research, she has investigated how prospective Latino/a teachers negotiate their relationships with their peers in their teacher education programs and with their cooperating, practicing teachers to facilitate the learning and achievement of diverse child populations. Most recently, Gomez has focused on the graduate teaching assistants who are teaching and supervising elementary prospective teachers in one predominantly white teacher education program and is investigating how and why white, European American teacher education students interact with their teaching assistants in differing ways. She has to date investigated the ways teaching assistants who are of color and of international status interact with their university students, and currently is working on a paper focusing on white, European American teaching assistants and the dilemmas they face in teaching and supervision of elementary teachers. Selected Publications: 1) Gomez, M. L., Khurshid, A., Freitag, M. B., & Johnson Lachuk, A. (2011). Microaggressions in graduate students' lives: How they are encountered and their consequences. Teaching and Teacher Education, 27, 1189-1199; 2) Gomez, M. L. (2010). Talking about ourselves, talking about our mothers: Latina prospective teachers narrate their life experiences. The Urban Review, 42, 81-101. “Ve despacio. No tengas prisa. Concedo mucho valor a mi trabajo en formación de educadores. Lo vivo con responsabilidad y compromiso. Me gratifica mucho el poder contribuir a la formación de maestros y psicopedagogos, creando en el aula un contexto que les permita ser ellos mismos, crecer a nivel personal, valorarse y comprometerse, para que, en un futuro, puedan ayudar a niños y adolescentes a crecer como personas. Intento crear un clima relajado y tranquilo, libre de juicios y cargado de escucha, comprensión y respeto, en el que todos pueden participar, enriqueciéndose unos con otros, pudiendo ser ellos mismos sin temor a ser valorados, favoreciendo por tanto las relaciones interpersonales. Un clima de aceptación de todos y de compromiso y gusto con lo que hacemos, fomentando el placer del conocimiento, abierto a cualquier propuesta que pueda enriquecernos, que acoge sus planteamientos con una actitud de aprender de todo y de todos. Estoy convencida de que lo que genera un ambiente propicio para el trabajo en el aula es el vivir actitudes constructivas. Por ello, me muestro cercana, les acojo y escucho en sus dudas, anhelos y dificultades, respeto sus vidas y sus puntos de vista, me preocupo por ellos, les ayudo y acompaño y les miro en su valor. Las materias que imparto, Psicología de la Personalidad, Desarrollo Sociopersonal y Psicología de la Educación, son especialmente importantes para ayudar a los estudiantes a mirar dentro de sí mismos y a su alrededor, y a encontrarse con el despliegue de la vida en los otros y en ellos mismos. Siento que son un medio privilegiado para que aprendan a escucharse y a escuchar a otras personas que buscan y se interrogan en torno a la vida y a ellas mismas, que tienen dificultades y sufren a veces, pero que se divierten, comparten, aman y disfrutan de la vida. Percibo que contribuyo a que se despierte la vida en ellos, que crecen en respeto y escucha, que se interesan y asombran, que se produce la comunicación sincera y que confían en mí. Poco a poco participan y se van abriendo a la asignatura, a los compañeros y a sí mismos. Creo en el valor de la educación para que las personas “aprendan a ser lo que son”. Por ello, concedo mucha importancia a mi trabajo en formación de educadores, porque estoy convencida de que, si en mis clases consigo “alcanzar” a los estudiantes, algo de lo vivido lo van a transmitir cuando estén frente a sus alumnos u otras personas. Puedo ayudar a mis alumnos a crecer y a ser más conscientes de ellos mismos y de su misión como educadores. Por eso, quiero transmitirles mi visión del ser humano y su desarrollo, que sientan la importancia de lo que hacemos o dejamos de hacer; y también que comprendan que no da igual cómo lo hacemos. Es fundamental la relación que establezco con la materia y con los estudiantes. Entiendo los contenidos como algo dinámico, que está relacionado siempre con ellos, con sus vidas, con sus aconteceres, con lo que sienten y desean, con lo que les frustra o les hace gozar. Es muy importante para mí abordar los contenidos desde su experiencia, que se hace viva junto a las experiencias de otros. Y esto les permite reflexionar, comprender, observar, sentir y compartir lo que viven, crecer en definitiva. Intento que no aprendan sólo desde una perspectiva cerebral, sino que analicen su vivencia y hagan un aprendizaje con sentido personal (PALOMERO PESCADOR & FERNÁNDEZ DOMÍNGUEZ, 2005). Como decía Rogers (1969) “el aprendizaje que tiene lugar desde la nuca hacia arriba y que no involucra sentimiento o significación personal no tiene relevancia para la persona total”. A través de los contenidos de la asignatura puedo ayudarles a descubrir al ser humano de todos los tiempos, en su anhelo de comprenderse desde diversas perspectivas, un deseo que compartimos todas las personas. En las clases les transmito mi visión del ser humano, lleno de potencialidades y capacidades, mi creencia en su fondo positivo y en sus posibilidades de despliegue, ayudándoles a encontrar ese mismo fondo en ellos. No refuerzo una visión ataque–defensa de la persona, y estoy ahí, junto a ellos, procurando ser yo en cada momento, con calma y paciencia, mirándoles desde una actitud de no juicio, de tolerancia, respeto y cuidado por sus vidas, y creyendo en sus posibilidades. Y esto da resultado, da muchos frutos, aún en el corto espacio de un cuatrimestre y en el contexto de una asignatura. Por otra parte, es fundamental el gusto por lo que hacemos y transmitimos y estar convencidos de su valor, entusiasmarnos y entusiasmar, contagiando la pasión por el conocimiento y por el ser humano. Esto es inocular las ganas de vivir siendo personas en proceso de crecimiento. Procuro ser auténtica en la relación y les invito a hacer lo mismo. Y es sorprendente el nivel de compromiso, escucha y respeto que se alcanza en el grupo. “Durante el desarrollo de las clase me he sentido muy a gusto. He podido hablar delante de mis compañeros sin vergüenza alguna y sin temor a lo que pensaran de mí. Soy una persona bastante tímida, pero en este grupo, gracias al ambiente que se ha creado, he conseguido sentirme como una más y disfrutar de los momentos que he vivido en clase. Me han gustado las conversaciones interesantes, las aportaciones personales de cada uno, el poder hablar de nuestros sentimientos y expresar nuestras ideas […] Todo ha sido muy útil para el aprendizaje de la asignatura y para mí como persona”. Uno de los principales objetivos de mi tarea docente es fomentar en los estudiantes la formación integral de su personalidad, favoreciendo su proceso de crecimiento personal. Ayudarles a comprenderse, a conocerse y a hacerse conscientes de todo lo positivo que hay en ellos, a ser más dueños de sus emociones y de sus vidas y a ser ellos mismos. Este objetivo se fundamenta en mi convencimiento de que es muy importante que los profesores tengan una madurez que les permita afrontar los múltiples retos de la educación desde las actitudes favorecedoras del crecimiento personal. He querido encabezar los capítulos de este artículo mostrando algunos de los avances que se dan en los alumnos que asisten a mis clases, a través de pequeños textos suyos, tomados de sus reflexiones, evaluaciones y trabajos de las asignaturas. La educación emocional es una parte fundamental de la formación integral de la personalidad, de la formación para adquirir una madurez personal. Por ello debería estar presente en la formación de todos los profesionales que trabajan con personas y, por supuesto, ocupar un papel destacado en la formación de educadores, profesores y maestros. La realidad, sin embargo, es que está prácticamente ausente de los actuales planes de estudio y que, mirando al futuro, el panorama no es muy alentador. Así, si analizamos el Libro Blanco del Título de Grado en Magisterio (ANECA, 2005), elaborado con motivo del Espacio Europeo de Educación Superior, observamos que opta por el discurso técnico de la formación profesional (PALOMERO PESCADOR, 2004), dejando muy poco espacio para las competencias socioafectivas, que son fundamentales para la formación integral de la personalidad del futuro maestro. Ahora bien, ¿cómo hacer para ayudar a niños y adolescentes a comprenderse, a conocerse, a entender lo que les pasa?, ¿cómo ayudarles a ser dueños de sus emociones y de sus vidas?, ¿cómo ayudarles a ser ellos mismos y felices?, ¿cómo hacer para que puedan desplegar todo lo positivo que hay en ellos? Es muy importante la formación de los educadores, para que puedan influir positivamente en niños, adolescentes y jóvenes, y para que desde su propia madurez personal, les ayuden a ser ellos mismos, a crecer y desplegar todas sus potencialidades. Desde mi punto de vista, es necesario que los profesores tengan formación en el ámbito de la educación emocional. Sin embargo, para ponerla en práctica con éxito es importante que estén bien preparados. 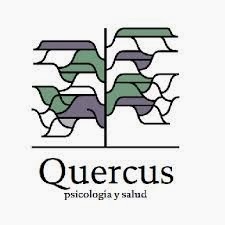 Es fundamental una formación que les permita llevar a cabo un proceso de crecimiento personal que les conduzca a la madurez, a la adultez psicológica y a ser dueños de sus vidas (ZACARÉS, 1998). Lo más importante es que el profesorado tenga una solidez personal desde la que pueda hacer frente a las situaciones conflictivas, a los procesos transferenciales en el aula; que le permita mantener la serenidad ante sus alumnos y ser un punto de referencia seguro para ellos y que le ayude a tener unas actitudes positivas ante niños, adolescentes y jóvenes y su proceso de crecimiento. Es esencial que los profesores y profesoras sepan “ver” a los alumnos en su riqueza, en lo que son, reconociendo todo lo que de positivo y genuino lleva dentro cada uno. Es fundamental que les valoren y que confíen en ellos. Sólo podrá confiar en sí mismo el niño que ha visto que se confía en él y que se le valora en lo que es, que tiene su hueco, su lugar. Y también es importante el amor incondicional del profesor y las actitudes de respeto, escucha, atención, cuidado y paciencia. Es evidente que el profesor maduro, que sabe ver al niño, que confía en él, que tiene todas las actitudes positivas de respeto y cuidado por su crecimiento, va a ser un auténtico revulsivo, va a ayudar a que el niño crezca, se conozca, decida de acuerdo a sí mismo y no tenga necesidad de actuar para buscar aprobación, porque ya es aceptado tal cual es. 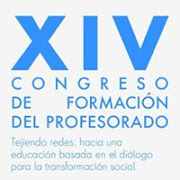 María Rosario Fernández Domínguez es actualmente profesora emérita de psicología en la Universidad de Zaragoza, en cuya Facultad de Educación imparte la asignatura Desarrollo Sociopersonal e Intervención Psicológica. "Yo soy uno más. Notas a contratiempo", es un documental de Cinesín (pulsar aquí para acceder al mismo) que, basado en la vida de Rafael Calderón, nos introduce en el entramado del libro "Educación, hándicap e inclusión. Una lucha familiar contra una escuela excluyente" (Ignacio Calderón y Sabina Habegger, Mágina, 2012). Se trata de un documental que expone las circunstancias vitales y escolares de la vida de una persona con dos "máximas": querer ser uno más y tener un cromosoma más. Escolarizado desde su infancia y realizando al mismo tiempo los estudios de trompeta, Rafael Calderón y su familia vivirán un claro enfrentamiento con la escuela, al no aceptar la exclusión que el centro le proponía en los últimos cursos de la ESO. Un proceso socialmente asumido que elimina a las personas con hándicap de las instituciones encargadas de ofrecer una educación general y normalizada. Con su claro empeño por ser músico, Rafael ha conseguido superar las distintas etapas de su formación. En la actualidad se encuentra cursando el Grado Superior de Música. Su hermano, Ignacio Calderón, profesor de la Facultad de Ciencias de la Educación de la Universidad de Málaga, ha sido testigo y acompañante de este caso educativo que cuestiona estereotipos y prejuicios a través de la Investigación-Acción. Él, junto a su familia, ha sido uno más en el corazón de Rafael Calderón. Y es ese apoyo incondicional de la familia el que ha posibilitado que Rafael pudiera decidir sobre su vida, generar un proyecto y dedicarse en cuerpo y alma a construirlo. Textos e imagen tomados de Cinesín (cine sin barreras, sin marginación, sin prejuicios, sin discriminación, sin fronteras), Asociación sin ánimo de lucro que trabaja la accesibilidad de los medios audiovisuales para personas con Diversidad Funcional - PULSAR AQUÍ). [PDF] Evaluación docente.¿ mecanismo equitativo y confiable o proceso viciado que no cumple con su objetivo? ... HORTAL, Augusto (2002). Ética general de las profesiones. Bilbao: Desclée de Broywer. KORTHAGEN, Fred A. (2010).«La práctica, la teoría y la persona en formación del profesorado».